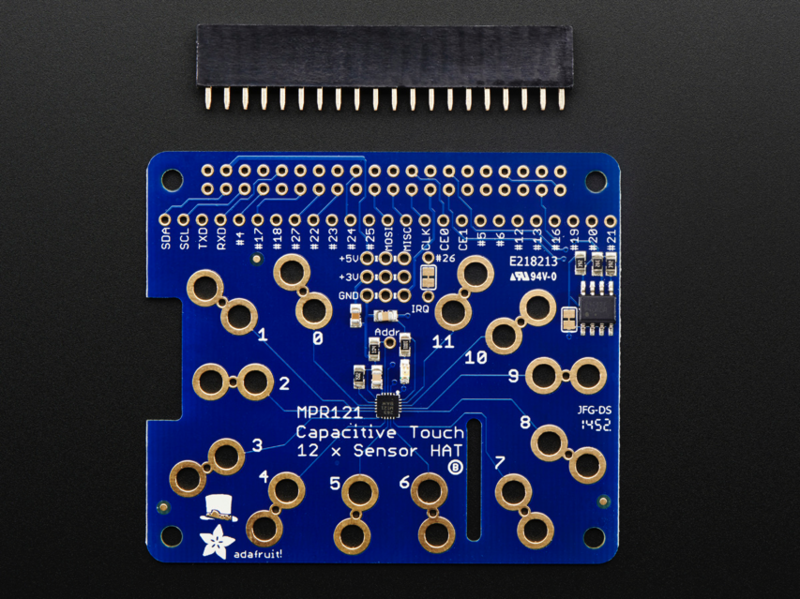 NEW PRODUCT – Adafruit Capacitive Touch HAT for Raspberry Pi – Mini Kit – MPR121 « Adafruit Industries – Makers, hackers, artists, designers and engineers! The HAT has 12 ‘figure 8’ holes in it that can be gripped onto with alligator clip cables. 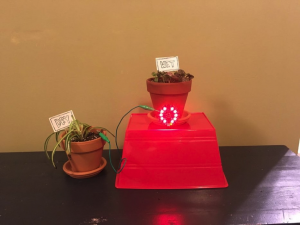 Attach one side of the clip to the HAT and the other side to something electrically conductive (like metal) or full of water (like vegetables or fruit!) 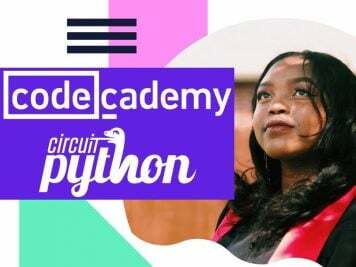 Then start up our handy Python library code to detect when the object is touched. That’s pretty much it, very easy! For advanced users, you can also solder to a pad to make a slimmer & more permanent connection. Works great with Raspberry Pi Model A+ or B+. 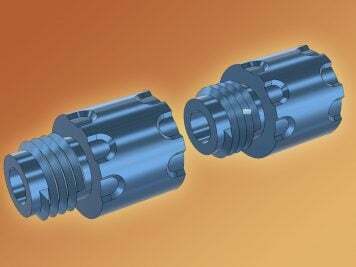 This HAT can be used with Model A or Model B but requires purchase/soldering of a extra-tall 2×13 header instead of the 2×20 included. Each order comes with a Capacitive Touch HAT and a 2×20 socket header. You’ll need to do some light through-hole soldering to attach the headers onto the HAT circuit board, but its easy to do with basic soldering tools like a soldering iron and rosin core electronics solder. You’ll also likely want to pick up a 12 pack of alligator clips! Please note! 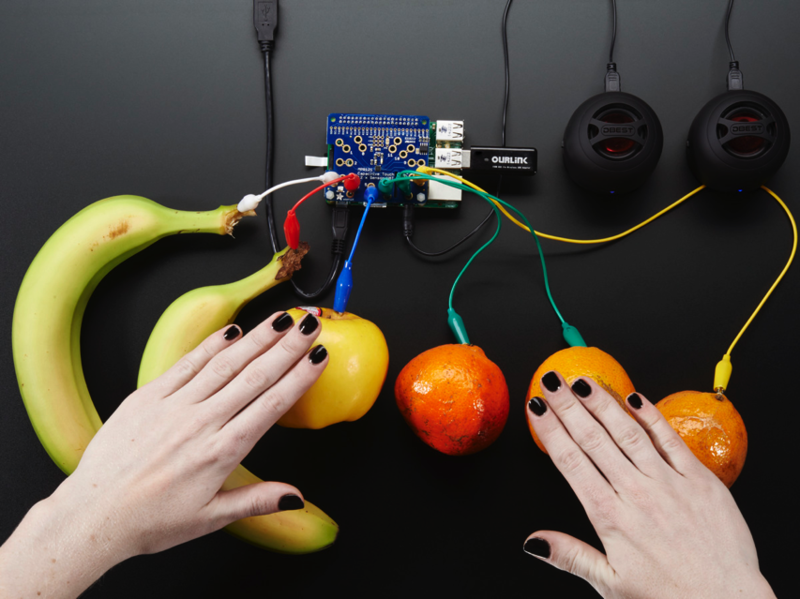 This kit does not come with Raspberry Pi, alligator clips, speaker, or delicious fruit! However, we do have all of those in the store. 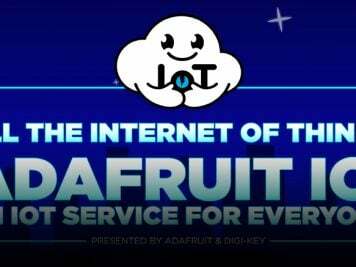 Well, all except fruit – despite being called Adafruit, we do not actually sell fruit.